As my good friends know, I love using emojis. I frequently feel like emojis allow me to communicate my thoughts and feelings better than words. 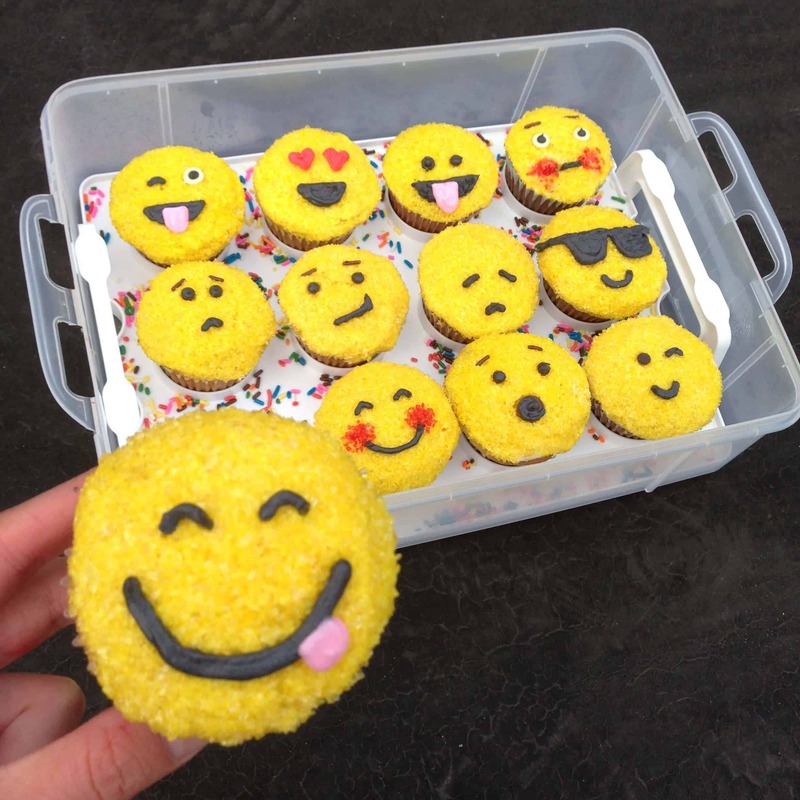 To honor these wonderful little smileys, I made banana cupcakes decorated with my favorite (and most commonly used) emojis. Begin with the banana cake base. Preheat oven to 350° Fahrenheit. Butter, flour, and place parchment paper circles in four nine-inch, circular cake pans (I made three layers, but wished I had done four! The tops get too rounded if you try to fit all the batter in three pans). In a small bowl, mix the mashed banana with the lemon juice, and set aside. In a medium bowl, mix the flour, baking soda and salt, then add eggs, one at a time. In a large bowl, cream butter and sugar, until light and fluffy. Add the vanilla, then beat banana mixture into the flour mixture, alternating with the buttermilk. Pour the batter into the a lined cupcake tin, and fill 3/4 full. Bake for 14-18 minutes, or until a toothpick inserted in center comes out clean. 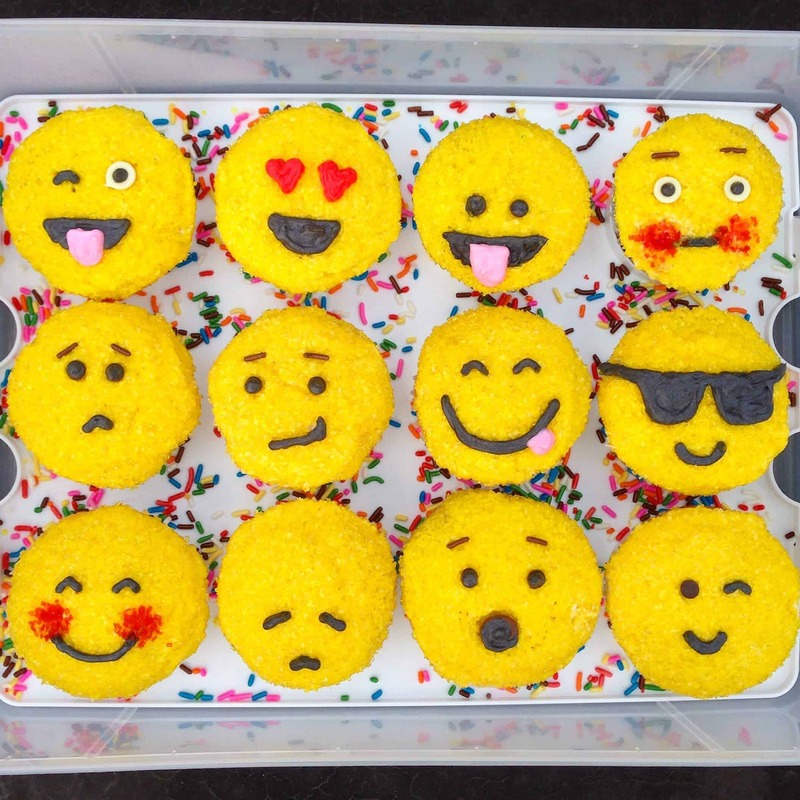 These are so cute – just adorable and would certainly appeal to the emoji generation!! Good job!! How long should I wait to frost and decorate them after they come out of the oven? Until they are fully cooled! I usually put my layers in the freezer to speed up the process. at least 30 minutes in the freezer! they should be chilled to the touch.